We at The Reel Place are excited to offer you the chance to see Happy Death Day for free before it opens! Click here to enter to win passes to attend the special advance screening being held on Tuesday, October 10 at 7pm in Salt Lake City. Passes admit two, but do not guarantee admission. The theater is overbooked to ensure that it fills, so be sure to arrive extra early to exchange your passes for actual tickets. We’ll see you there! 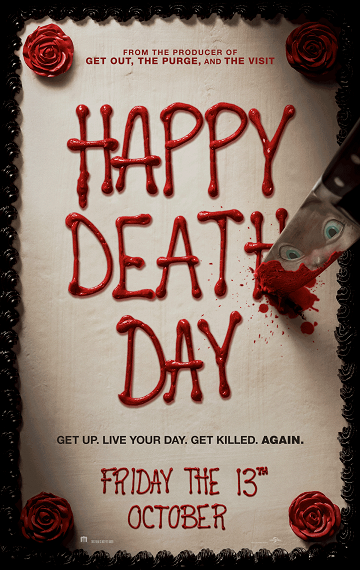 Synopsis: Blumhouse (Split, Get Out, Whiplash) produces an original and inventive rewinding thriller in Happy Death Day, in which a college student (Jessica Rothe, La La Land) relives the day of her murder with both its unexceptional details and terrifying end until she discovers her killer’s identity.